in different shapes and sizes. My mom had a dear friend who was visiting from Japan. She taught my mom how to follow a series of steps to fold decorative paper to create a simple bird. This art form is called origami. Before her friend left to go back to Japan, she made the following figures as a memento. They still hang in the hall of my parents' house twenty-five years later. Have you ever tried origami? 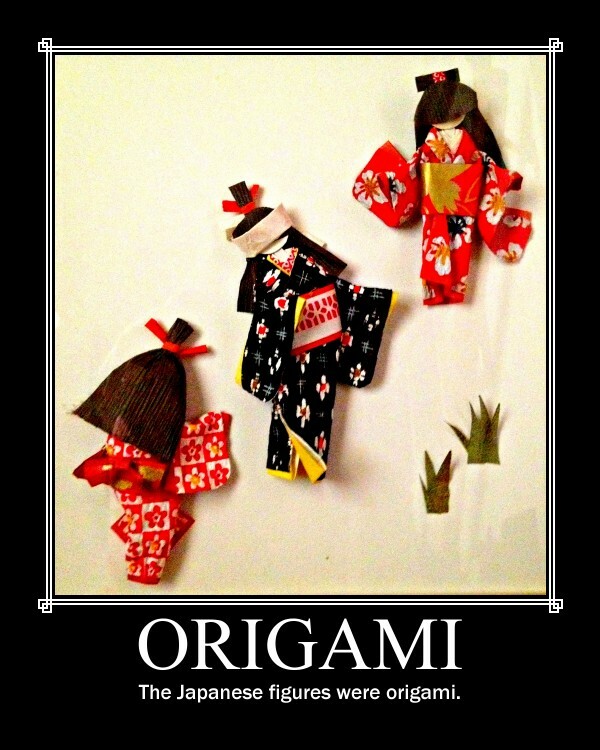 Send us a visual definition of origami to nightlightstories@gmail.com or post a picture on our Facebook Page.